Fruit muffins made in Airfryer are perfect for the festive seasons. Add your choice of fruit in muffins and enjoy these healthy low fat breakfast muffin recipe. Crush the biscuits in a bowl and add milk to make a smooth batter. Add baking powder, cooking soda, cocoa power in mix well. Pour the batter in greased muffin cups and airfryer these in preheated airfryer for 10 min at 160 degrees. Simultaneously, in a bowl mix all chopped fruits, honey, cinnamon powder and lemon juice. This will be stuffed in each muffin. Keep it aside till muffins are ready. Once muffins are ready, allow it to cool for some time. Scoop the centre portion of muffin to make space for the fruit stuffing. Once scooped, add the chopped fruit mixture in each muffin. Fruits muffins are ready to serve. These can be stored in refrigerator or at room temperature. 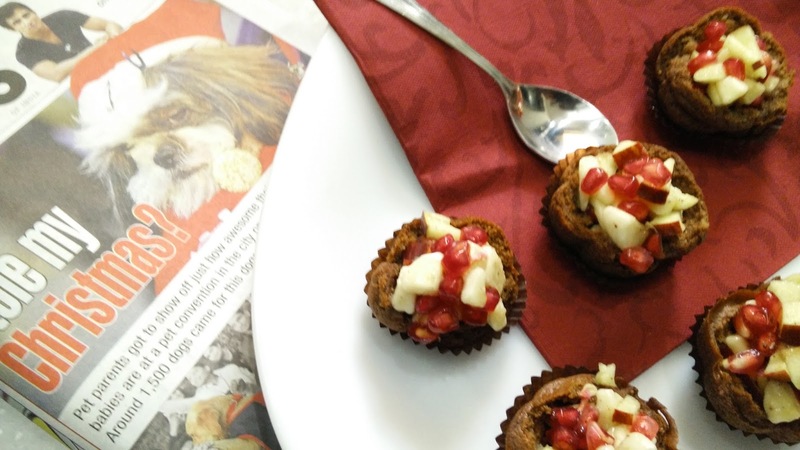 Tip – For the muffin stuffing, cream or chocolate sauce can also be a good alternative.